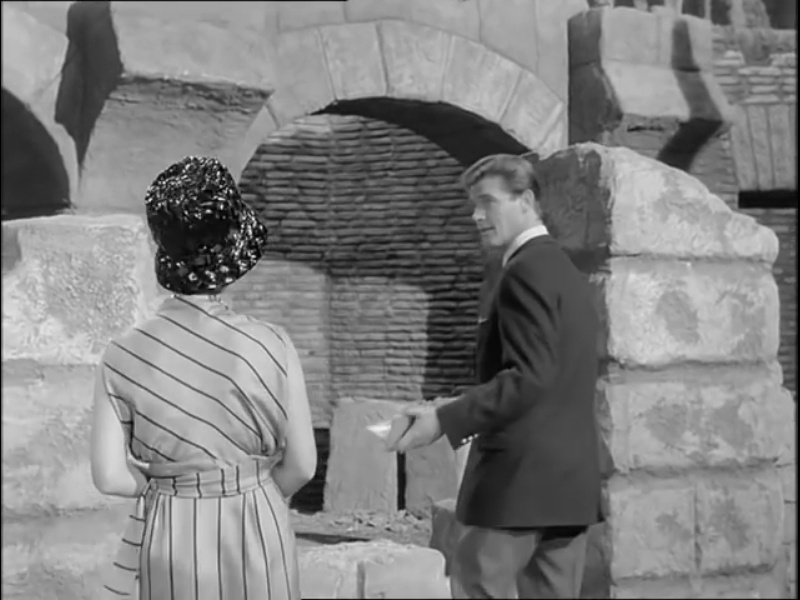 Who is Roger Moore trying to impress at the Colosseum? 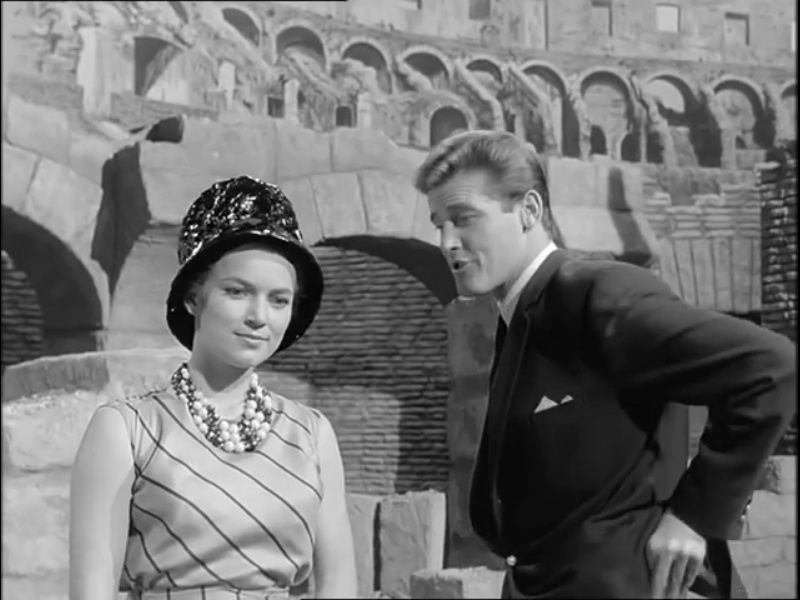 It's Suzan Farmer in THE SAINT, 1962, The Latin Touch. BRIAN BLESSED IN THE FIRST EPISODE OF THE SWEENEY. IN A VERY SOFTLY SPOKEN ROLE. HE IS A CLASS ACT. 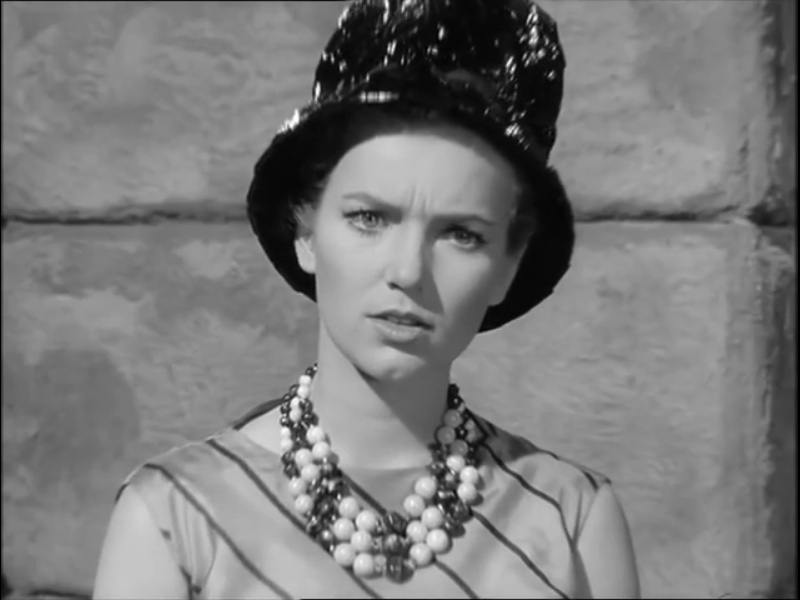 Also in the same episode: Alan Lake. Our character actors take some beating. Yep. They are repeating the whole series again. Julian Glover in an episode of the Champions with his Quatermass 'tache. Was he writing about us? Peter Childs in The Sweeney as a bank robber. That episode was based on the same true event which was later filmed as The Bank Job with jolly old Jason Statham in the only good film he's ever done. I thought I told you NOT to mention The Champions! Stephen Greif in Minder. I reckon that's how Travis got his face...messing with Terry McCann!